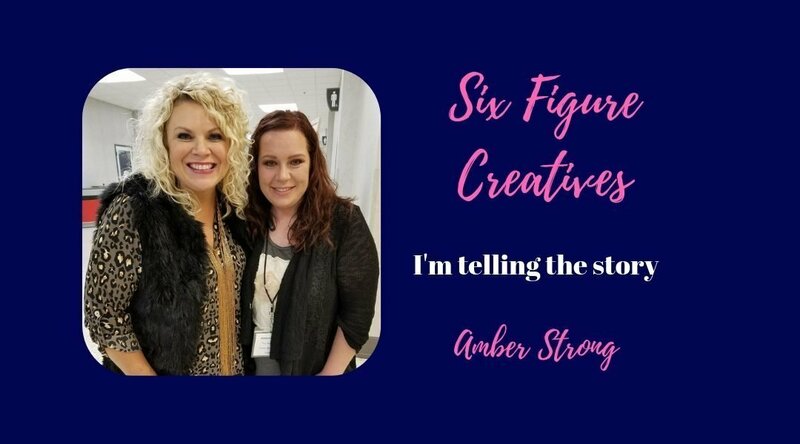 Everyone asks and so I am sharing my story! I want to share with you, not to boast or brag but to encourage you! December 2017 I had the great honor of doing a podcast with 7 other creatives like me. All in different creative businesses. We all make at least 6 figures a year. (at that time, now my business is a 7 figure business) Click here to find that podcast! My point of view was from a brick and mortar store owners perspective that also paints furniture and DIY’s stuff! My other fellow panelists owned stores as well, some sold online only but nevertheless we were all earning 6 figures from our creative businesses. Why is it so important that I tell you about this? Because I feel like someone needs a bit of encouragement that you can do it too! 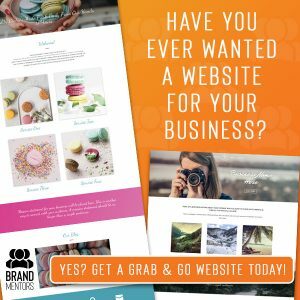 You can take your creative business and blow it out of the water big time! 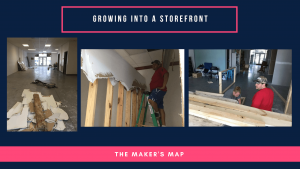 I took my “garage” business and turned it into a successful retail business and online business. I have grown my social media following to 20k as of Dec 2017 (and growing daily). As of today Jan 2019 my social reach across Facebook and Instagram is well over 45k. I myself have invested and coached other businesses and I stand behind the “hustle” mentality! I do not say “hustle” in a bad way. I say it as in “just work your business” kinda way. 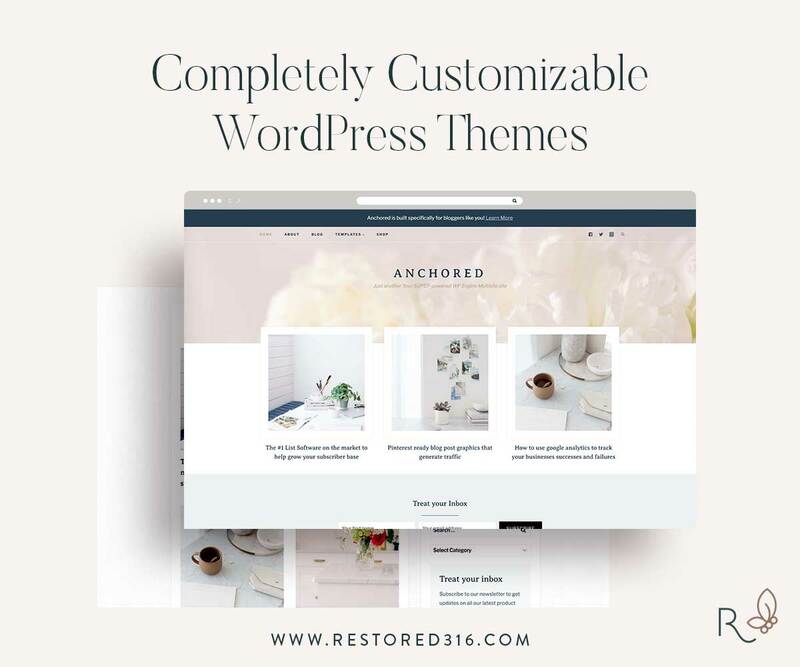 So for my readers and those podcast listeners here today I have a freebie just for you! My Social Media Challenge/Tracker Cheatsheet. 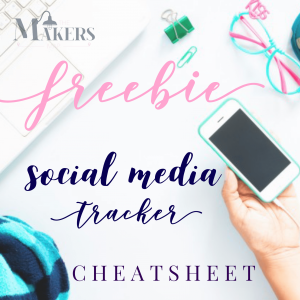 Click here to grab my Social Media Worksheet totally FREE! Flipping furniture is hard work, but it is creative work too! In so many ways it is “therapy”. Creative people need to be creative. It’s the only thing we know really! I was a stay at home mom, out of the workforce for 10 years. I wanted to “DO Something”. No one would hire me. I had been out of the loop for too long! What did I do before you ask? Medical Billing and Coding! You gotta stay on top of the laws and I was way behind. Rather than start fresh in that field I decided I want to do something I love. I was so blessed that my husband had a good job and I could live out my dream. Little did I know that my dream would turn into what it has. I am beyond blessed. My mentality was this. Get what I could free! Stay debt free as a “at home business”. What could I get for free? Trash… haha! You got it. I drove behind buildings looking for leftover junk that i could make into money! I found NOTHING…… nothing but pallets stacked for days! 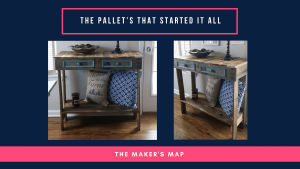 I did a quick google search for ways to make money free and I found a blog post on a site I don’t remember talking about using pallets to build furniture. So you know what I did next. So, I decided ok, free pallets. Yeah, I can do this. I loaded up a few, took them home and started tearing them apart in the Southeast Georgia July heat! WORST IDEA EVER! I knew that a hammer and crow bar was not going to cut it. So i made my 1st investment. I bought a reciprocating saw and cut the boards off! $50 investment! I used my husbands circular saw to make my cuts and i used nails I had laying around. I used our palm sander that was barely working and I made my 1st creation! I sold that baby for $150 bucks. I was thrilled! Plus I still had pallet wood left to make more! I paid back my initial $50 investment and had a $100 profit. I kept flipping that money over and over until I had around $3k. That’s when I decided I was going to go big or go home! My husband convinced me to get a booth in a neighboring town. That meant investing money in that retail location and giving up a commission to that store off each item I sold. Did I really want to do that? NO! I liked keeping all my money…. who doesn’t. But I knew in order to grow my business I had to invest in it. Which also meant spending money! I barely filled my booth and already started selling stuff out of it. 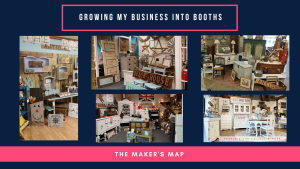 I had to work hard to keep it filled, I started painting furniture and custom building on the side and I was bringing in $3k-$4k each month, Then I decided to expand and get another booth, before too long I had 4 booths and consigned in another neighboring town. I was earning the big bucks! Then it all came crashing down. That store I had 3 booths in (ended up closing one of my booths down to keep up) she closed her store, no warning, barely was given notice and then we were told to liquidate our business and start fresh! Are you serious! No way! Liquidate? All I heard was sorry games over, your out of business now! I was not having it. I took all my savings and opened up my store. I hustled hard yall! I mean it. I was not going to be defeated. NO WAY! 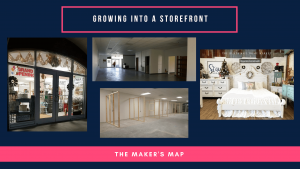 Here we are now, my store is in its 2nd year and it is flourishing! Growing, we can not keep up most weeks. 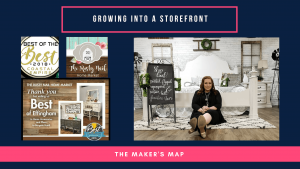 People drive from all over the USA to shop at my store and shop my vendors booths. I earn over 6 figures a year now. Because I didnt quit. I kept going. I asked God to open doors and bless my business. I asked him to make it more than just about business and he has. I am honored that I have an amazing team of vendors that I love dearly. I also have a customer base that has to be the best around. They are the sweetest and most supportive. While I am successful it is only because God has blessed me and kept me going. It has been hard, I have cried, wanted to throw in the towel and cussed a little too, but in the end I have stuck with it. Each year and new level brings new challenges, new experiences, new adventures. It will probably never be easy but the adventure is worth it. God has stretched me and my family and by doing that we have had to trust in him. Faith! Full blown faith! I am very blessed that my family is apart of my business. They fully support my dream. That is what it really is… my dream. And they still support me. Its hard, there is sacrifice (dirty dishes, dirty laundry, pool is green, there may or may not be enough milk in the fridge for that bowl of cereal, clean car nope) through it all those little things are just that, the little things. We are in it together. Let me encourage you, my journey to 6 figures is not easy. I say “IS” because I am still on the journey. It is not easy, it is a lot of work, but still rewarding. I have had the opportunity through what I do to invest in others beyond selling them a thing. It’s also about the people too! Never lose sight of your purpose, money will come and go but relationships are forever. If you have been wanting to start or grow your business, let me encourage you! You can do it! You can totally do it! I worked my business for 6 years with no coach, no mentor just me and GOD! In September of 2017 I joined forces with Jennifer Allwood who is now my business coach. Best thing I did! If you need a business coach she is your girl. If you want to know about what she offers just check her page out and I know you will see immediately why I could kick myself for not doing it sooner. Click here to find out about her Inner Circle Coaching Group! While I have you here, don’t forget to grab that freebie! 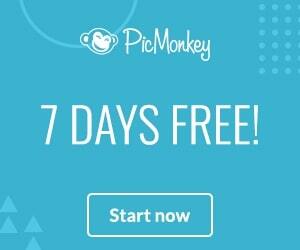 I created it just to help you kick start your social media if your struggling with that. I stand firm on the foundation that if you have a business in this day and age you must have a social media presence. Its vital. 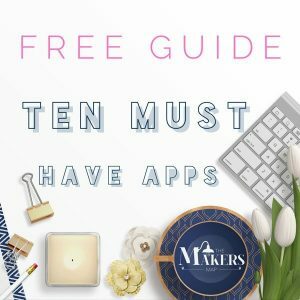 So, I would love to give you my freebie and have you join my email list. Y’all can I share a totally embarrassing moment from the podcast episode? My microphone battery was dying, my screen was zoomed out way to far. I was a total newbie but you know what It was an honor to be asked and a learning experience. I am humbled to have had to opportunity to be on that panel with other amazing creatives just like me and just like you! 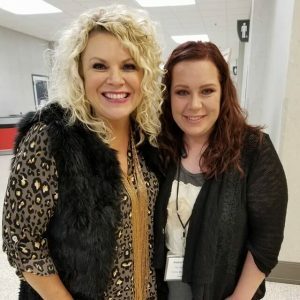 Listen to the podcast here, or click to check out the LIVE feed! If you have a business idea or already have a business jump on it! You got it! I know you do! Blessings to each of y’all! I just know that you will help, serve and lead others to great achievements. It’s truly who you are. Congratulations on your launch and I can’t wait for the journey that you take. Thank you Mark! I am so thankful for the support and encouragement that you give me! I love you! Loved getting to read your story and love seeing you continued to grow & take over all the things with your excellence and passion! And selfishly I’m so glad you’re taking the coaching thing on UP and onward because 1) you’re a blessing to so many and 2) Girl, if I could just make $1k a month (yes I said only 1k …. not that I don’t have my eye on much more… but at this point I really really need some serious profit and I don’t mean $200 here and there any more. It would change our life to be able to pay off our son’s college debt…. both for us and our monthly payments we’re still making, but for my boys who worry all the time about how much both they and we owe. I want the debt ERADICATED. I want to be able to tell Landon the debt is GONE-not quite as good as God saying our sin debt is gone….. but a close second! Thank you so much for this! I can not tell you how this makes my heart so happy! Taking my business to the next level has been on my heart for a better part of a year. My push to step out has been the hundreds of business owners (mostly women) who message me daily with needs. Struggling and wanting more. Wanting to fully lean into what God has created them for. So it was absolutely a no-brainer! There is a need, I can fill it! You need to put your feet to the floor and get moving, if it is not bringing you revenue move on. Do not hold on to the things keeping you small. Grasp to the things that will take you big! I love you and you are going to do great things! I know it!